Tower Hamlets has a brand new political party to vote for. Lucky us. It’s called Tower Hamlets First. As opposed to Tower Hamlets Last, which is the usual strategy of the people behind this new venture….the dear Mayor of Tower Hamlets and his group. It was registered with the Electoral Commission on September 19, with Lutfur Rahman as party leader (missed that party election vote), and Cllr Alibor Choudhury nominated as Treasurer and nominating officer. They’ve also registered a few catchy tag lines to use alongside Tower Hamlets First. Thus we have ‘Mayor Lutfur Rahman’s Team’, ‘Lutfur Rahman’s Team’, Lutfur Rahman’s Progressive Alliance’, ‘The Mayor’s Team’, “Mayor Lutfur Rahman’s Independents’, ‘Mayor Lutfur Rahman’s Community Alliance’ [note the use of the word ‘community’], and ‘East End Independents’. I’m not sure he’ll be able to use the word Mayor in any official tag line during an election, but let’s see. But what’s also interesting about this is that he’s now on an official footing as as far as declaring donations go. Until now, there’s been no trace of how he’s been funded, or who his backers have been. For example, I asked his people who funded his huge iftar party to celebrate Eid in August, but answer there came none. Ditto the various leaflets and newsletters he sends out en masse. I suppose the truth is that ever since he was elected that dark night in October 2010, he’s been gearing up for re-election. And why not? We’ve already seen his (ab)use of the Localism Act to dish out grants to friends at the borough’s many mosques and monocultural community groups. Today, another £242,000 was handed out. It includes another £18,000 to the Osmani Trust. The Osmani Trust is a major “youth” organisation in Whitechapel with links to the IFE. And it was a large group of mainly excitable young men from that organisation who turned up at the town hall for the last full council meeting in September when they spent the evening whooping, hollering and hurling insults in Bengali at Labour and Tory councillors. That was also the same evening Tory councillor Gloria Thienel was insulted as “Susan Boyle” by an angry, glaring man sitting next to me. And it was also the same meeting that at long last the cameras were allowed to roll during the debate. You can watch it all for free here. At 50 minutes in you can even watch the single time the Mayor spoke throughout the entire three hour meeting. 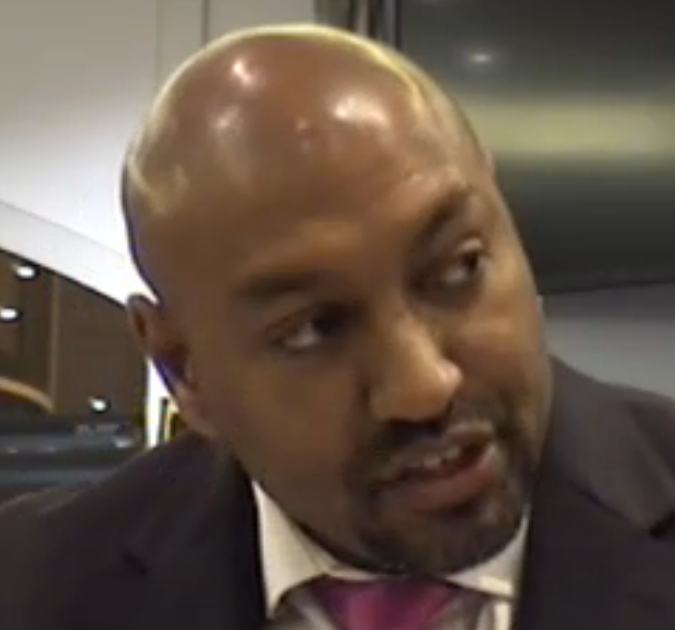 At 1hr 25mins in, you’ll see during a motion on the recent trip to the Tower Hamlets border by the English Defence League, Lutfur’s main man Alibor rise to speak. I propose that we accept the IFE as a progressive organisation that we will aim to engage. Well, Labour weren’t expecting that. We praise the East London Mosque stewards and we know that their organisation is the IFE. Labour’s Rachael Saunders is a little taken aback. She can see the elephant-trap, so she says she has “no idea whether the IFE is progressive” (when she clearly believes they’re not). The EDL have picked up on this and they repeatedly reference it so it’s important to state such messages were incorrect and the council hasn’t been taken over and infiltrated. In 2009, I interviewed Habibur Rahman, the then president of the IFE. He confirmed Alibor was an IFE member/activist. But Alibor failed to mention or declare that when setting out his amendment. You see, the IFE already have a man at the top of the council. We now have conformation that Dispatches and JIm were right. thanks, guys. IFE do lots of jobs for Tower Hamlets local people. They are working with local GPs, local NHS, local schools. They are working with teachers. Working with Tower Hamlets school teachers, are they? Back to Alibor. A bit later on, after some goading from Labour, he also said the SWP and Unite Against Fascism were “progressive organisations that we should aim to engage”. Respect to him. He’s come out and said what we all knew. But they’ve now shown their election strategy. This is what they are saying repeatedly to the Bengali press and TV channels: Labour and Jim Fitzpatrick brought the EDL to Tower Hamlets and it is only the Mayor Lutfur the Martyr who is standing up to them, with much thanks to the dear IFE. They are trying to shift the goalposts and make the IFE appear mainstream. And it’s a strategy that’s currently working among the Bengali population. Labour, which managed to water down the amendment to thank all groups who helped block the EDL (including the police: in Lutfur’s version they weren’t mentioned – it was if they believed the IFE stewards were the police) and John Biggs need to shape up. When they say “working with schools,” I think they are referring to a project of encouraging illiterate parents to send their children to school. Apparently it was a success. Have you been completely hollowed out Dan?? A couple of years ago you were absolutely opposed to Lutfur and all this malarkey. Now you slavishly trot out their excuses and diversions. Why would an organisation whose avowed intent is the creation of the “true believer” and the establishment of a global Islamic “order” be interested in schools? To get Muslim students to speak English better??? Give me a break! This is all about influencing young minds. I know you don’t like it when I digress from the more central ‘substance’ of your pieces but I think it’s vital to get the basics right. 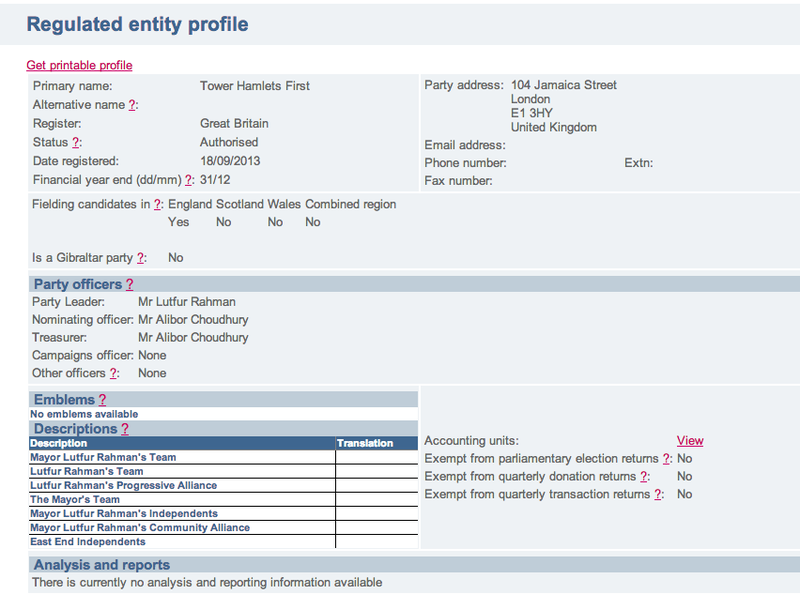 TJ: What about [Tower Hamlets councillors] Alibor Choudhury and Abdal Ullah? HR: Abdal Ullah? He is not a member, he hasn’t been involved with IFE directly. I know that he has worked with some of us, who have worked with the LMC [London Muslim Centre] when it was constructed and in fact he was quite keen in getting some child care projects within it. Alibor, again, is someone within the community who is active in politics and we have associations with him, but he is far too busy with his politics to do anything else. Yes, so we know these people because we are very much involved in the community. We know most of the councillors. You can name all the councillors and I can tell you, yes we know them, and they’ve worked with us in one or another capacity because we are in the community. Alibor is IFE, so let’s not be silly. Everyone knows it and if you don’t then you haven’t been asking the right questions. My comment wasn’t about Alibor, it was about my search journalistic integrity in your statement that your interviewee had said something he quite clearly had not said. Hira Islam’s education welfare work means that the previously untapped mosque channels are also utilised in getting through to families to enforce school attendance. Apparently it was quite revolutionary when introduced, and maybe is one of the factors in the ever-rising GCSE results. I don’t see what is wrong with thanking the students, as far as I’m aware they are not implicated in anything illegal or moral – but correct me if I’m wrong. I did see John Biggs posing for photographs with people in IFE bibs. If you’re reading John, what’s your view? That should be ‘stewards’, not ‘students’ btw. But aside from that, anyway, does this imply you are supportive of/voting for John Biggs? Starting to get a bit scary yet? People were saying this was happening years ago and back then they were derided for being paranoid bigots. Indeed, anyone who dared to speak out about this fifth-column was targeted – Bodysnatchers style – by the far-left (or is ‘far-right’ now a better description) and woke up next to a pod. So, when is the “Left” going to wake up and realise what is going on? Some of them have done. Some brave souls like Jim Fitzpatrick have spoken out… but the rest are crippled by an ideological dichotomy within the Left which equates anyone from “a minority” as being endowed with an ineffable virtue and therefore any other ideological conviction regarding the protection of our own historic rights and freedoms as coming second or third place. Why am I concerned about rights and freedoms? Well I happen to believe in democratic choice. The “progressive” organisations which Alibor and Lutfur are so keen to promote are not. The SWP fantasizes about being at the vanguard of a Marxist-Leninist putsch which would replace our current democratic system with a “dictatorship of the proletariat” where all opposing “regressive” and “counter-revolutionary” parties or “forces”, as they put it, would be banned. Similarly, the IFE is dedicated to changing the “very infrastructure of society, its institutions, its culture, its political order and its creed” but differ because they want to change it “from ignorance to Islam.” Such a change in creed from liberal secularism to Sharia Law would presumably have to be involve a certain degree of compulsion or would only come about through a profound population change. Note: Between 2001 and 2011 the local authority area in the UK with the highest increase in population was…. Tower Hamlets (+26%). And now the Mayor of this borough or at least the treasurer of his new party “progressive” party wants the council to work with the IFE because it is a “progressive” organisation. The IFE, according to their own leaflets (as seen by Dispatches, bring on the “Andrew Was Right” car stickers), “strives for the establishment of a global society, the Khalifah…. comprised of individuals who live by the principles of… the Shari’ah.” The recreation of a vast, medieval empire is “progress” so far as they are concerned. Such an ambition, the establishment of a global Islamic empire, is the difference between an ‘Islamist’ (who strives for this to happen) and the ordinary Muslim, who does not. So “progressive” if it is applied to the IFE means “Islamist” and “Islamist” means fascist because only a fascist would want to impose a grotesque, autocratic, global theocracy upon the world where the state itself would be worshiped, the head of state be semi-divine and the ineffable laws of this state be the unquestionable word of God. Even Adolf Hitler during his most optimistic moments never intended to literally rule the whole world and his pronouncements be regarded as “divine”. Yet here it is. “My vote for the title of Amir al-Mu’mineen would have to go to the Palestinian Prime Minister, [and leader of Hamas] Ismail Haniyeh.” (Both quotes, Harry’s Place). So ‘Tower Hamlets First’ thinks the IFE is a “progressive” organisation which it “should work with”. The leaders of the IFE think the leader of Hamas (Haniyeh) should be the next Caliph to rule the world and this Haniyeh thought Osama bin Laden was a “holy warrior”, a “true believer” and a “martyr”. So there we have it. And at a time when people like Samantha Lewthwaite are clearly demonstrating the real danger of this intoxicating and extremist belief system by running about literally foaming at the mouth in her enthusiasm to kill non-Muslims just what are we doing allowing the peddlers of this warped ideology to be funded by the tax-payer? I, as a LBTH rate payer, am literally subsidising people who support people who want me dead. We need to recognise the word “progressive” and regard it for what it is – it is a code word used by both revolutionary socialists AND the supporters of an Islamo-Fascist world-empire. Communist groups like the SWP regard progress as the “inevitable” eventual transition from one historical “epoch” to another – from capitalism to socialism. The Islamo-Fascists, on the other hand, exploit this ideological loophole by presenting this “progress” as the transition from the world as we know it to one where all the people of the world were subjected to Sharia Law – which is an inevitability according to their creed. This man, Pat Condell, has very eloquently described the twisting of the word “progress” into the modern NewSpeak term “progressive” and explains what it really means. I urge you to watch. He is also,ironically and disturbingly, the Islamo-Fascist vice-chair of United Against Fascists,of which Andrew Gilligan has elaborated upon as I’m sure you’re aware but where that unholy alliance of the SWP and the IFE meets at street level, few in the mainstream press are willing to make the connection or criticise UAF,even though they are among the most violent of protest movements. With links to academia and signatories among all parties,one wonders just how much of the intimidation and physical confrontation is sanctioned from above. It is like watching a tennis match with the camera swinging left and right. Professional cameraman my foot: I think it is that bad even Who’s been Framed? would reject it. I seem to recall Lutfur repeatedly denying any link with the IFE previously, and assumed this was because the IFE was regarded as being A Bad Thing. Doesn’t this firstly show Lutfur as being the liar he is, and also link him by association with an organisation which has some very very dodgy connections? In short, isn’t he showing his true colours and shooting himself in the foot at the same time? Tim, I think it only shows his “true colours” to people who weren’t already aware of his true colours or were in denial about them. He is shooting himself in the foot amongs people who were never going to vote for him anyway – so he has made the calculation that flopping it out for all to see no longer matters at this stage in his game. The marriage of IFE and “Respect” has been around from at least 2005 when it enabled George Galloway to oust Oona King as MP for Bethnal Green and Bow. This ideological ‘bromance’ between the British far-left and the Islamic far-right probably began when disparate groups came together and formed the ‘Stop The War Coalition’ in 2002. Early evidence of Islamic hardliners physically joining the British far-left at events might be the occasion when the UK gay organization OutRage! contended that homosexuals were “targeted” at an associated Palestine Solidarity Campaign-organized rally in May 2004. As we know the LBTH Respect Party under the guidance of “General” Abjol Miah (a big IFE player) organised the dodgy petition which triggered a referendum on changing the council constitution to a directly elected mayoral system. The leader of Tower Hamlets council at the time this petition was handed in was Cllr. 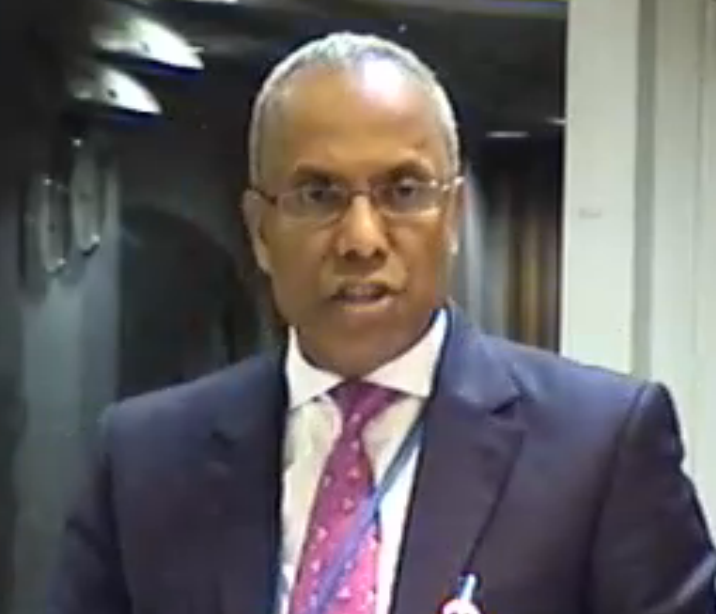 Lutfur Rahman (Labour) busy perfecting his excellent impersonation of Senator Palpatine. Miah later claimed the “we” referred to Muslims in general and not the IFE but nobody believed him. Abjol Miah also tried to censor Dispatches for saying he was a key figure in the IFE and they didn’t believe him about this either. So what I am trying to say is the only people who didn’t believe Lutfur was part of an Islamo-fascist conspiracy were his “white” friends within the Labour Party and they were either in denial or simply refused to allow the matter to be discussed. Everybody else who takes an interest in local politics either knew about these connections or had at least heard of them and suspected them to be true but didn’t dare say anything because of the shrill noises coming from some quarters (e.g. the IFE and their “progressive” chums) which insisted it was all a pack of racist lies. What’s become clear is that it no longer matters to Lutfur whether people know about the interrelationship between the IFE, the LMC, ‘Tower Hamlets First’ and himself. He is now quite ensconced. He has spent five years buying votes from his own community and expects to win the election with the promise of more cash to come. If I may continue with a metaphor I used before, it is rather like the bit in Invasion of the Bodysnatchers when the hive begin carrying their pods about openly in the street. IMHO this is no longer an issue of local politics. I think it has become an issue of national security and it is about time the Tory government stopped seeing this as just an amusing Labour Party problem and started taking real steps to excise this tumor, which is rapidly becoming metastatic, right in the heart of London. I like Pat, he is always to the point and is not afraid of the truth. The IFE stewards. From what I saw, all men, all Asain/Muslim and all stationed in prominently areas with a large Bangladeshi population. Was I the only person who found this unsettling in modern day Britain. Could this have been seen as an Islamic force patrolling our streets in IFE bibs. We had thousands of police, youth workers who seemed to fit the same profile as above. LR/IFE would do better to at least attempt to engage the wider community in tower hamlets which may help to bring people together – instead of driving communities apart! The politics of faith is pulling people and communities apart and in the end LR and the IFE will be ejected from Power as the decent people of tower hamlets, of all faiths, colours and backgrounds will rebalance local politics. The electoral commission, if requested, will provide a copy of the party constitution which every party must provide when they register. Now THAT would be an interesting read. Any chance Ted? Will this new party be sitting in the council ? If so , the group leader will get a leaders SRA more public money down the drain. Labour asleep as usual. If only. More likely it will be necessary to build a high wall around Tower Hamlets to stop it further poisoning the rest of the country. The place is utterly corrupt. It is a source of some frustration that the rest of the country is having to pay for your shithole caliphate. Surely this racist comment is beneath the standards of your comments policy, Ted? Surely this whitewashing of the antisemites and homophobes of Tower Hamlets is beneath the standards of your comments policy, Ted?